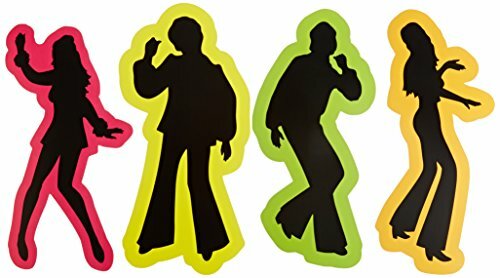 Beistle 54175 Retro 70's Silhouettes (4 Count). 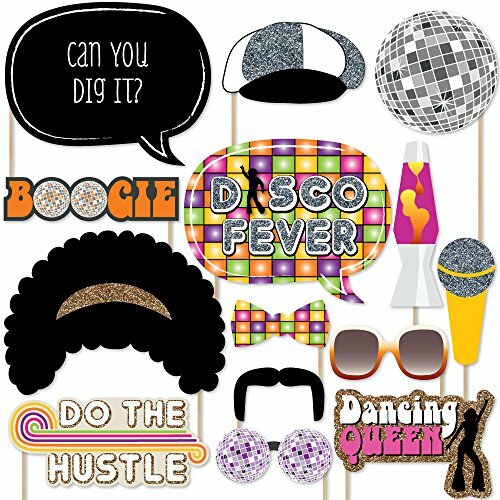 These retro 70's themed silhouettes are perfect for any 70's or disco themed party! 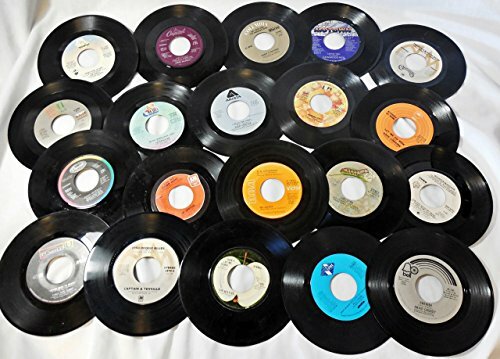 They are printed on both sides and measure 15 and 16 Inch!. 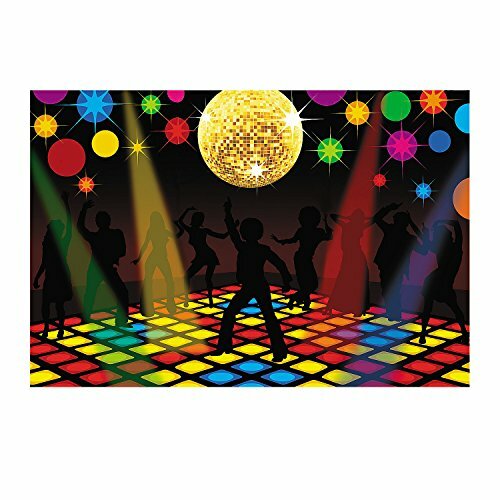 Beistle 59864 70's Cutout. 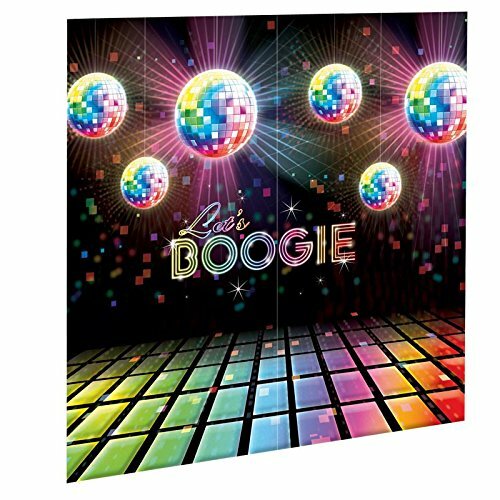 This colorful cutout is printed on 1 side of board stock paper. 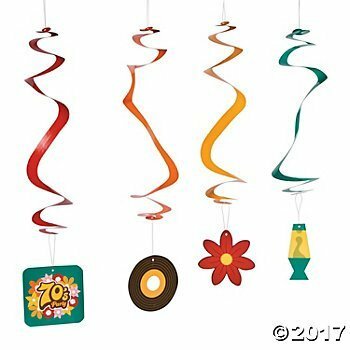 It measures 14 Inch tall by 22.5 Inch wide. 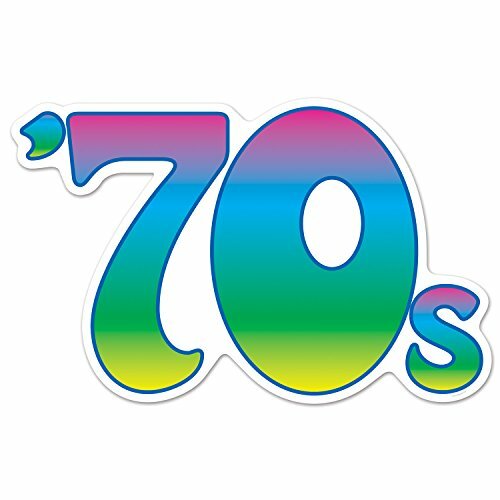 Hang this cutout up on a wall to decorate for a 70's themed party! 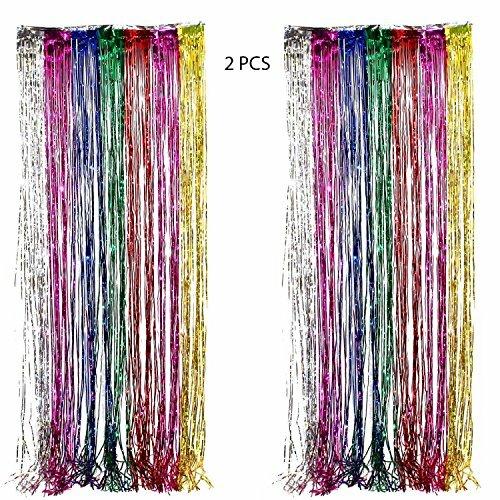 (This item is folded in half in the packaging.). 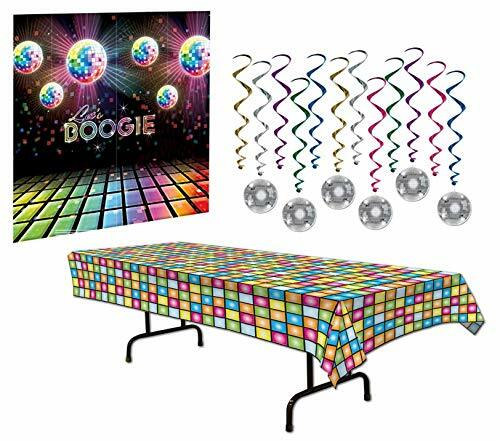 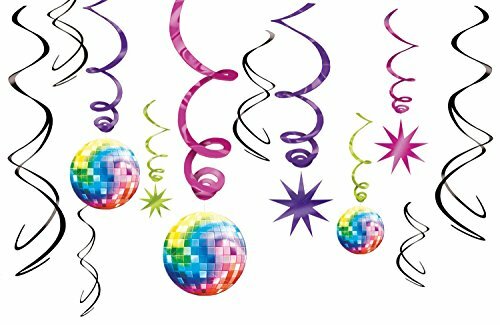 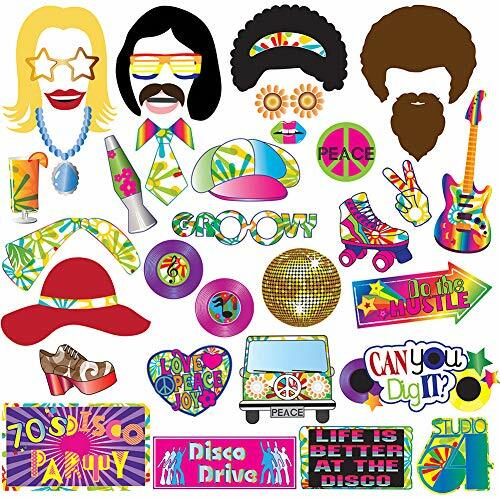 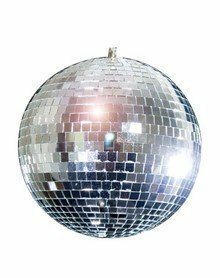 70s Theme Disco Party Decorations Pack Including - Plastic Disco Table Cover 54" x 108", Disco Swirl String Decorations And "Boogie" 70s Scene Setter (65" x 32.5"). 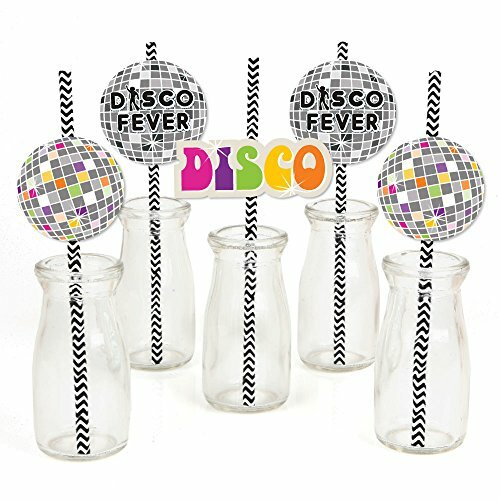 Perfect for a great 70s theme or dance party.